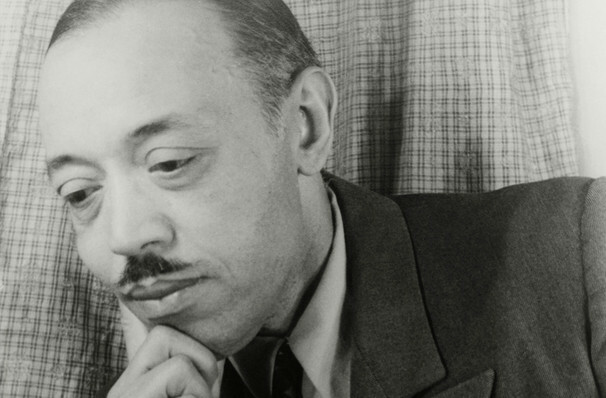 Why See Los Angeles Philharmonic - William Grant Still and the Harlem Renaissance: Symphony No. 1? The figure most associated with the Harlem Renaissance and African-American musical evolution of the 1920s is William Grant Still, a composer whose musical, social and political influence reached further than the New York Borough. Join special guest and principal conductor of the Hollywood Bowl Orchestra Thomas Wilkins, master storyteller and narrator Charlotte Blake, American jazz piano virtuoso Aaron Diehl and the Los Angeles Philharmonic for an electrifying performance of Still's Symphony No. 1, alongside pieces by Duke Ellington and George Gershwin, this February. The first ever symphony written by an African American and first ever performed for a US audience by a professional ensemble, the 'Afro-American' Symphony debuted in 1931 with a performance by the Rochester Philharmonic. Soaked in blues rhythms and progressions, Still's opus integrated black culture into classical forms, structuring its gospel-inflected melodies and harmonies around four poems by early 20th century African American poet Paul Laurence Dunbar. Sound good to you? Share this page on social media and let your friends know about Los Angeles Philharmonic - William Grant Still and the Harlem Renaissance: Symphony No. 1 at Walt Disney Concert Hall. Please note: The term Walt Disney Concert Hall and/or Los Angeles Philharmonic - William Grant Still and the Harlem Renaissance: Symphony No. 1 as well as all associated graphics, logos, and/or other trademarks, tradenames or copyrights are the property of the Walt Disney Concert Hall and/or Los Angeles Philharmonic - William Grant Still and the Harlem Renaissance: Symphony No. 1 and are used herein for factual descriptive purposes only. 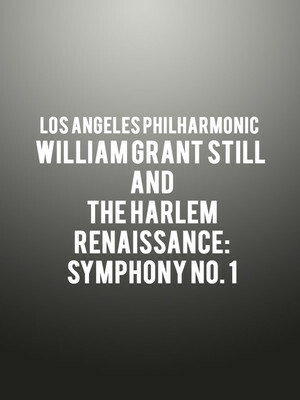 We are in no way associated with or authorized by the Walt Disney Concert Hall and/or Los Angeles Philharmonic - William Grant Still and the Harlem Renaissance: Symphony No. 1 and neither that entity nor any of its affiliates have licensed or endorsed us to sell tickets, goods and or services in conjunction with their events.